It is common for some computer users to fail to find a file. This can be as a result of accidental deletion or the folder may be corrupted and some files go missing. Calling in a specialist can be expensive and may take time waiting for them to come to your aid. It is possible however to recover these files on your own. There are a number of software you can download online and use to recover the files. While windows may completely fail to see these files, there is technology today that allows you to find them even after they have been deleted. It is important though to be careful when you download these software, not all the software that claims to be able to recover your files will do that, some may just infiltrate your system and end up being spyware. Here are a few trusted software you can use to recover lost files. This is the first place you should start when trying to recover an accidentally deleted file. It is quite easy and you do not need to download anything. Usually when you delete a file, its first destination will be the recycle bin. Just search for the file and click on it then restore once you find it. This is one of the most trusted and it is easy to use. You simply need to go online and download the software, when the download is complete, extract the content from the ZIP and run the extension file. You will then select the drive where the lost file was and the software will begin to scan through that drive. This software DiskDigger will search for all hidden and lost files and it will present you with a list of files it has found. From the list presented, you can choose the file you were looking for and then click recover file, you will then choose a different location to save it in. You will now be able to access the deleted file. This software is able to recover lost or corrupt files. It has received favourable reviews and its reputation is good. 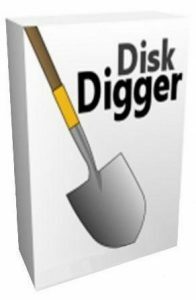 It is a free software and easy to use just like Disk Digger. You can use it on Macos, Linux and Windows, but do not install it on the disk where the file that is missing was saved or you may actually lose the file completely. There are hundreds of other software you can use and it is recommended that you try out a number to see which one works best for you. There is however one situation where it is not recommended to try an recover the data on your own, this is for a spoilt harddisk, in this case it is best to call in the professionals.